I don't get a lot of saisons here, do I? I pose that question not as a rhetorical, as I genuinely don't know if I do. I mean, they aren't necessarily all called saisons, but I understand that anything that calls itself a farmhouse ale can be one, and I've had that. Also, anything that is a citrus summer ale can be considered one, and I have had my share of those. But, I'm going to go ahead and say that this is my first one (well for the blog, as far as I can remember) and try it out. Self-evidently, the head on this beer is nearly overwhelming. From the moment I popped it open, it has gushed foam, so I expected nothing less than this gigantic head. The color is medium brown without a hint of red or orange or anything else - just brown and only semi-permeable. The aroma is citrus hops and fairly light. It makes sense for a summer beer. Blah. This movie can be summed up with that simple word. It attempts to convey the nature of teenage angst combined with fighting a bureaucracy and tossing in the underprivileged youths trying to assimilate. The problem is that the muddled malaise that the movie tries to convey winds up engulfing the story and the characters themselves. This movie won awards from SXSW, and it has a good rating on IMDB, so why did I just not get into it? I mean, the performance that Brie Larson gives is pretty good, and the supporting characters are generally done very well. The story should be fairly compelling - with a girl who is managing a intermediary home for homeless or troubled kids has to deal with a particularly hard case while she is also dealing with her own pregnancy. The Pacific Theater of WW2 is usually an afterthought. 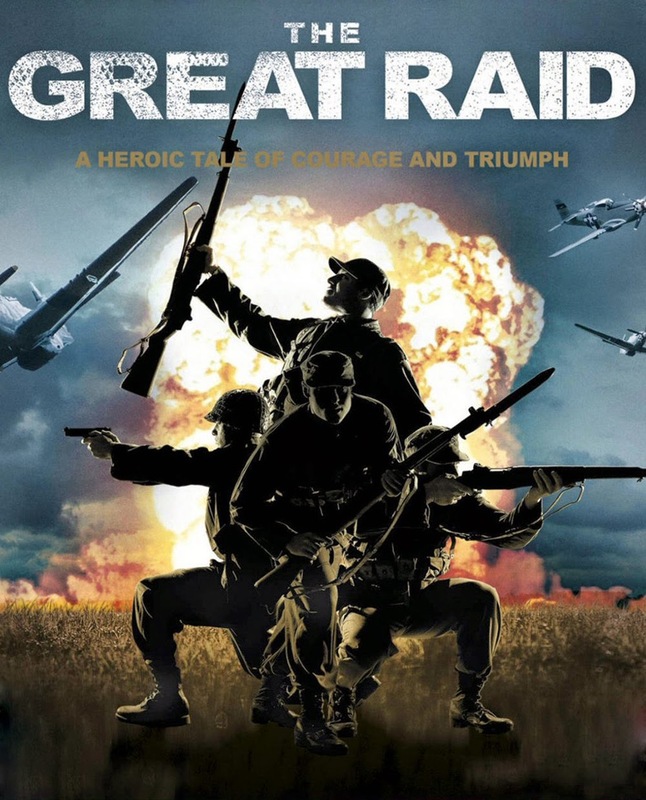 Even though the reason that the US got into the war as a result of the Japanese attack on Pearl Harbor, more movies document the fight against Hitler and the Nazis than against the Japanese. I'm not sure if it's fair, and I'm not sure if we are being shortchanged by not being told stories of heroism and bravery. The men who gave their lives there are certainly not getting their due, but that can be said for a lot of brave young men in wars. At least these guys were not fighting to save a statue. James Franco plays the up-and-coming ROTC graduate Captain who wants to lead an assault with his troops. It may just be me, but I was not impressed with his portrayal. I think I had more confidence in his ability going in than I had with Marky Mark's ability to portray Marcus Luttrell in Lone Survivor, but Mark did a good job, and James doesn't quite do the job in this movie. If the last one wasn't a fluke, I may have found the first brewery in the Nashville area that can produce good beer. This was recommended by the infamous Cammo of Cammo's Brewing. If that guy says something is good, I take notice and try it out. He knows some good beer when he tries it. It's as cloudy as a fall day in Pittsburgh. The color is a deep mahogany with an interesting way that the light plays with it to give it a brighter color around the outsides with a darker brown in the center. The head is rich and thick, while there is only about an inch of it. I expected more, as the foam cascaded out the top of the bottle as soon as I cracked it open. The aroma is strong with this one: floral hops dominate the lesser citrus and a bit of biscuit malt. I have suggested in the past that beer companies should not venture into different, more flamboyant styles with lots of new and imaginative stuff added until they master the basics of making a good ale and a good lager (possibly just one or the other). Likewise, I have been told, it is important to try a moonshine before it is sullied by added flavoring. I have already had the FireFly Apple Pie, and I definitely found it to my liking, so I'm falling back to the basics to try their White Lightening. I'm anticipating a strong, burning sensation with little taste - like the strawberry S'loonshine without that god-awful strawberry added. I've had moonshine before, and the results were okay and bad. My hopes are high for this one out of pure optimism. I picked this up when I picked up more beer from a local beer distributor, so I'm in a particularly good mood right now. This one is another Apple Pie, and I thought the other one was okay, but this one is 60 proof, so my complaints about the last one not being strong enough (while still having an overpowering alcohol taste) are probably not going to be repeated. The color is a light gold, like apple juice from concentrate (not like Simply Apple, which is dark, misty, and beautiful). The aroma... I don't remember exactly what the last one smelled like, but this one is unmistakably the apple pie from Eat N Park. If you don't know what an Eat N Park is, think of it as a Denny's with better food and a slightly warmer atmosphere that is mostly in the Ohio valley. I had the Budweiser high-end beer a while back, and I was not impressed. It scored better than regular Bud probably would have scored, but it still wasn't good. 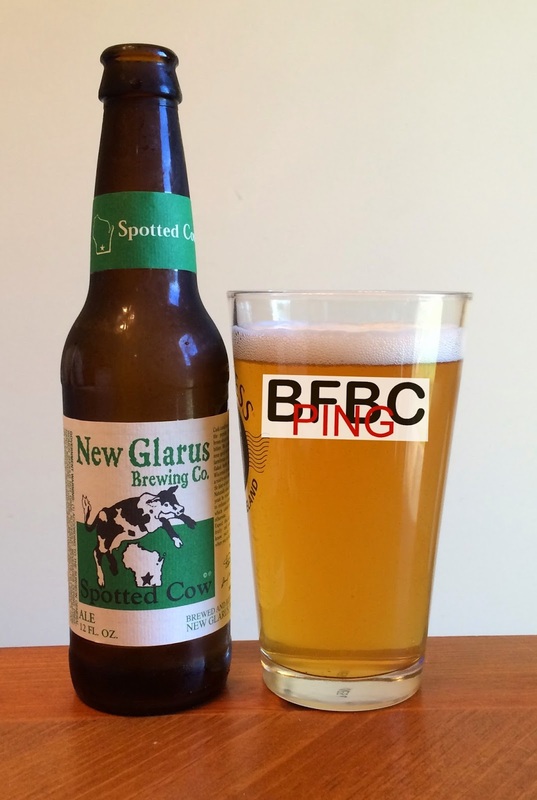 Well, I have gotten more questions about this beer than any other beer I've had, so I figured I would review it. The fact is, I don't have a lot of confidence in the ability of Miller to produce a high-end beer to lure bourbon drinkers to beer. The color is a golden amber, and it is as clear as most other domestic macro-brew lagers. The head wasn't much to begin with, and it dissipates to a reflection of a thought of foam. The aroma is sweet, grainy malt with a scoche of citrus squirted in for zest. It's not a huge departure from what I would have expected, but I have had other beers that have had similar traits that I thought were pretty good, so hope remains. This was a gift brought back from the land of cheese. I've never had anything that was a cream ale before, and I know absolutely nothing about the style. I mean, I have heard of Genesee Cream Ale, but I've never had one. I'm looking forward to the chance to try a new style. The pour is yellow like wet straw with haze that reminds me of a wheat beer. The light foam dissipates to a paper-thin coating floating on top like a lilypad. the aroma is impressively faint with citrus and a bit of hops. If I didn't know that this was a cream ale, I would swear it was a wheat ale. First sip isn't a great one. It's got a sour taste that reminds me of sorghum beers I had before. This will really have to improve in order to become a useful beer in my book. A sip tells just a small window, but the little window I have tells me this is not the best beer ever made. Perhaps a swig will make this whole experience much better. A friend once accused me of intentionally going out and watching crappy movies just so I could review them. I seriously want to see good movies, but it's not always easy to guess what movie is going to be good. Sometimes, you can grab something from a good actor that is horrible. Sometimes a B-list actor will be in a great movie. Sometimes, a B-lister with a first time director will be great. 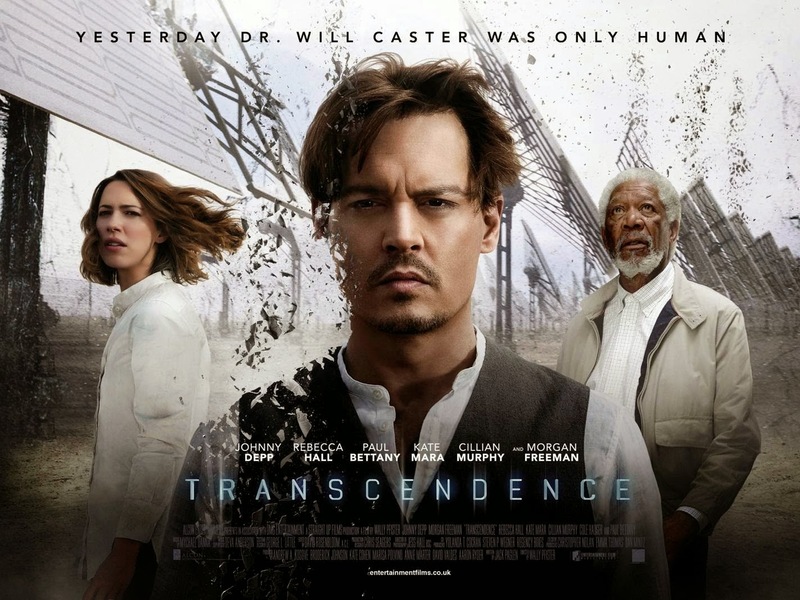 This movie featured Johnny Depp, Rebecca Hall, Paul Bettany, and Morgan Freeman, so I expected it to be pretty good. 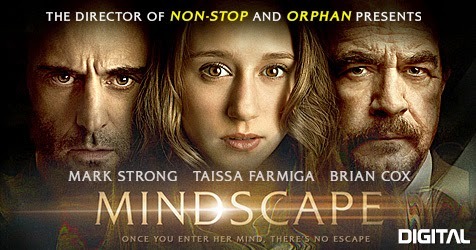 This movie's original title was Mindscape, and I don't blame them for changing it; it would have been a terrible title. Anna isn't all that much better, as it unnecessarily changes the focus of the movie from the struggling hero to the girl that he tries to help. The idea behind the movie is that there are people who can guide you through your own memories to unlock the truth of alibis and such, and they get paid a lot of money to do it. Mindscape is a company that employs people like that, and only the rich can afford them. Mark Strong plays one of these mindwalkers (no, that wouldn't make a good name, but it would still have been better) who is just getting over his own mental issues and trying to get back into the swing of things by taking on a new client. Mark usually does a good job of acting, and he actually does a very good job in his role in this movie. This movie is ostensibly about two brothers dealing with life as unwanted orphans who have grown up without direction and with nothing more than a heavy reliance on each other. Really, this is a retelling of Of Mice and Men in more modern times and in various motel rooms. This was written by two brothers about two brothers, but I can't say I was interested enough with the movie to see if it was at least somewhat autobiographical. It was listed in IMDB as a mystery, and why they would categorize it as a mystery is the only mystery about it. One of the best beers I've ever had was a Stoudt's Brewing Scottish Style Ale. As a result, I've looked for other examples of the style, and it isn't very common here in the states. The results of my search have been pretty disappointing. I ran across some Scotch Ales, and they are NOT what I was looking for, but this is a Scotch Ale, and I think I'm safe. Let's find out. 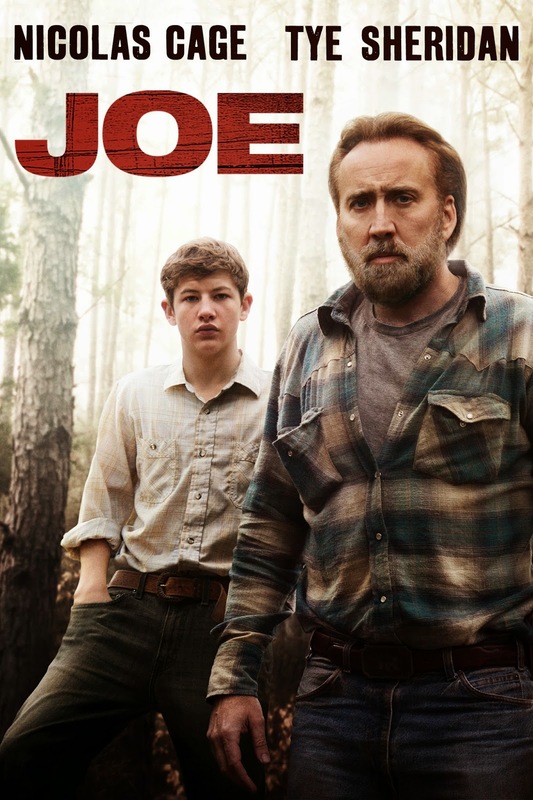 This is the Nicolas Cage version of Mud. It's the Nick version of A Perfect World. It's the Cage version of Gran Torino. What I'm saying is that I've seen this before. It's a movie that an actor does when he wants to be taken seriously and be in contention for an award. Unfortunately for Nick, I think it's unlikely that this will get enough attention to help him out. Also, those movies all had better actors. 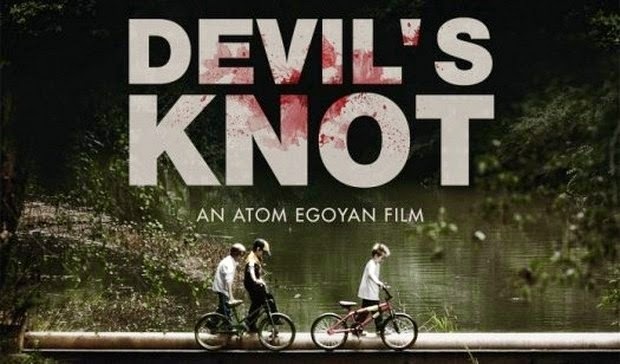 This movie is about the dark side of the back woods and small towns. If you've never seen Justified, this might be a fresh take on rural America. Nick runs a small group of guys whose job it is to kill trees. They inject trees with poison so the logging company is legally allowed to chop down the trees. Then the resulting field can be used to grow a more useful kind of tree. You see, it's a metaphor like a hammer hitting you on the head (wait, no, that was a simile). Stoudts is a brewery in PA that produced a few of the best beers I've had. They produced a Scottish-style ale that was absolutely tremendous, but it still wasn't quite as good as their Y2K IPA that (of course) you can no longer get. I don't know if they will repurpose the recipe, but I hope they do. For now, I have this beer with a pretty stupid-looking label that hopefully is one of the great ones. The color is deep brown that is almost as dark as the bottle it came in. The foam is as thick as the kid who slowed down the whole math class by his inability to comprehend intersecting angles and inevitably got held back in the next semester. It clings to the sides very well, and it really doesn't want to go away. The aroma is faint, but it's hoppy and somewhat metallic. I recently had the unthinkable - a bad beer from Lagunitas. Given their track record, I imagine it is the only bad beer in their stable, so I'm going to dive into this one with both feet. Well, with my whole mouth, at least - using it on my feet would be a serious waste of a beer. With its pitch black color and thick, full head, this could easily be mistaken for a stout. The floral hops wafting from the glass belie the ale nature of the beverage, though. At 8.2%ABV, this 1 pint, 6 fluid oz. beer is going to tuck me in tonight, I have no doubt. Lagunitas does ales like nobody's business (other than their own, obviously), and this seems like it should be well within their wheelhouse. This movie has The Great Flaw. The Director, Writer, Producer, and Star are all the same guy. That guy is George Clooney, and it's almost never a good idea to have someone that personally invested in the movie. Inevitably, something will wind up suffering as a result of someone trying to multitask too much. This movie suffers from a lack of enthusiasm. Specifically, it lacked MY enthusiasm. 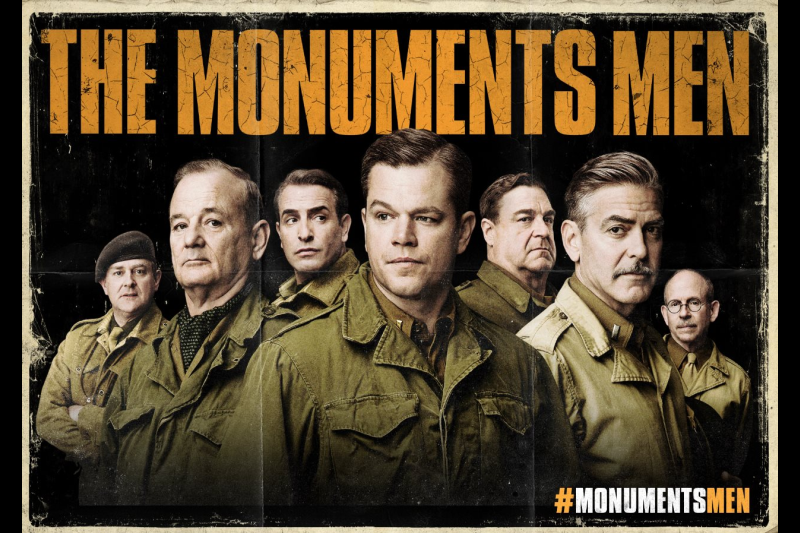 This movie is the fictionalized true story of a bunch of guys whose job it was to try to save art and monuments that the Nazis were either stealing or destroying toward the end of the war. The problem is that they didn't successfully make the case that it was worth it. I like art as much as the next guy, and I understand the importance of art to history, but they need to make a better argument for risking lives for the sake of saving paintings. Some time back @bfbcping suggested I should start reviewing the higher octane spirits available. Mostly because I prefer them over the various beers, and he vice versa. As this is my first foray into this venture it’s apposite that I set expectations for you constant reader. First off: I am not a professional. As such when you read the various critics you will invariably encounter verbiage like “has notes of” “hint of” “tastes of rich caramel, earthy peat, and sea air” whilst I have a decent vocabulary my palate is not quite…urbane. What I can offer is at the very least a level set so that if you try something I like, and you like it as well you’ll know the other things I like will be similar in nature. On the other hand, if you don’t agree with me you’ll have a list of things to save your money on. Sound fair? Ok, let’s get started! Another Tennessee beverage. Past experience has been negative overall when it comes to beers from the Volunteer State. I've really been expecting more gems in the bunch, but I just haven't come across them. Well, this is a brewery that I've never tried before, so it's possible I just missed the best one, and this one is based in Franklin, TN, just outside of Nashville. What better way to give them a shot than to try an IPA? I love an IPA. It is a brown beverage with a copper tone to it, and it is murky to the point of being nearly opaque. The head is thick and full, and it goes down to about a quarter of what you see in the picture before deciding that it's not going away anymore. It sticks to the walls like spider-man. The aroma is a very floral hop with some pine and spices mixed in for texture. I love Lagunitas. I can't explain how great it is to drink beer from these people who know how to make a beverage. I approach this particular beer with a hint of trepidation, as I am not generally a fan of imperial stouts, but I think that Lagunitas can make me a fan if anyone can. They make fantastic beer, and I am expecting this to be just another in the line of great beers. The color is black as night - if anything, there may be a slight blueish/brownish tint. The head (what there is of it) scatters to the winds quickly and leave just a ring around the glass and a few stray islands floating on the top. The aroma is a slightly metallic smoked oat with chocolate and a slight hint of coffee. I have hope for this beer. I went back and re-watched the first movie, and I should probably have given it about half a point higher than the 1.75 I gave it. But, I was particularly upset with the creators of the movie at the time, so I hope you can forgive me. After having watched this one, the sequel, I can firmly say I liked the second movie better than the first. I still have an issue with all the CG Spider-man swinging through the CG city after CG cars or CG bad guys, but this is what we signed up for. 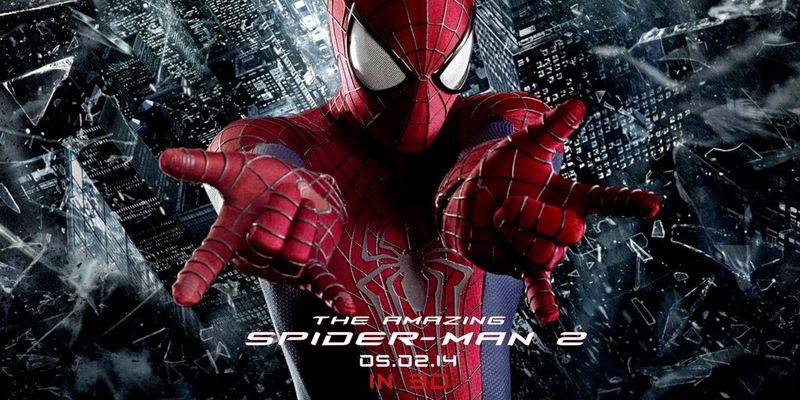 Andrew Garfield is growing on me as Spider-man. He has the right body type for it, and Toby McGuire never did. Plus, there was that third McGuire Spider-man movie. Whoa. Well, Andy manages to pull off the role pretty well. More importantly, they wrote the role in a way very similar to how the comics write him, and that means he's charming and funny while fighting. Toby never pulled that off. A while ago, I wrote a review of West of Memphis. It was the fourth movie in the series that started with the trilogy of Paradise Lost movies that I subsequently went back and watched. Well, I watched the first two. Fact is, I just couldn't take any more of Damien Echols. By the fourth movie, it was pretty self-evident that the three boys were not guilty, but Damien Echols has just about the most annoying personality I've seen on screen. He's a condescending pseudo-intellectual who demonstrates his own ignorance at every turn and is downright grating on the nerves - but that doesn't make him guilty of the charges. This is a dramatization of those events.